Does something look a little funny to you? It's not that I'm northbound at Route N, because that's just the Northern State Parkway. And yes, there is a signal just ahead, at the I-495 EB service road. But what kind of signal? A regular three-phase. The signal ahead sign used here is only supposed to be used on exit ramps with ramp metering, where there's no yellow light. 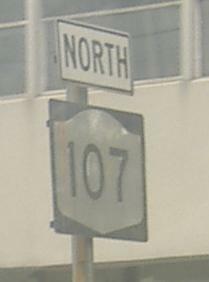 And Long Island does have ramp metering, in this very area no less, but NY 106/107 is no ramp. The only button copy on the lower level of this interchange, NY 106/107 NB. There's more on top, so visit the NY 25 page linked below. 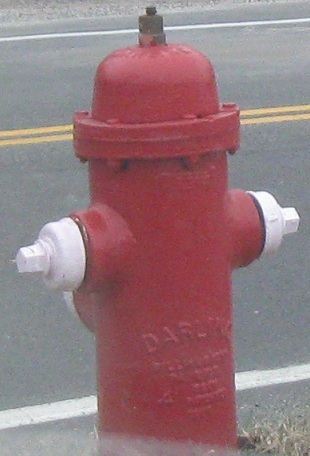 This old hydrant sits right where NY 107 merges into Glen Cove Rd., upgraded as a state highway (secret NY 900B) to conveniently connect I-495 (via secret Nassau CR 1) and points west to Glen Cove. 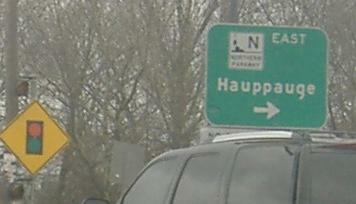 Onto the Northern State Pkwy.